HAMILTON, conceived and written by Lin-Manuel Miranda, the man behind musical phenomenon In the Heights, brings the story of founding father Alexander Hamilton to the stage. Seamlessly injecting contemporary music into a historical tale, HAMILTON has received enthusiastic critical acclaim and unprecedented advance box office sales. If you are as big of a fan as we are and can't get enough of HAMILTON, you are going to LOVE this full-day camp! Campers will celebrate this blockbuster Broadway sensation of the year as they explore the Founding Fathers through hip-hop, R&B and rap while performing their favorite tracks from the hit soundtrack. 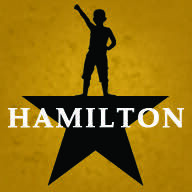 Having creative ownership over their theatrical experience, students can choose to showcase their own version of this 11-time Tony Award Winning Musical or create and perform in their very own Hamilton-inspired musical.